Have an invoice or confirmation number already? Sign in! We know that Bhutan is your dream trip of a lifetime. 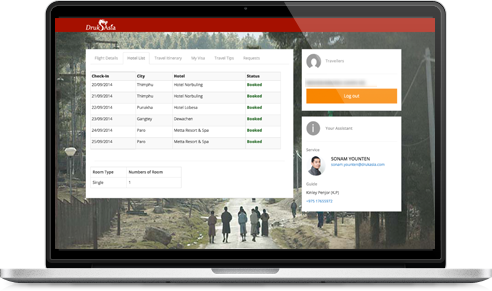 So we have built this travel management system to ensure that you are well-prepared. Stay connected with our team in Bhutan and get the latest information on the go.